Alex and Helena are not neighbourhood agents, who are typically focused on one or two subdivisions. Having had over a thousand transactions all over the Washington, DC metro area and constantly monitoring the broad market in the region, Helena and Alex possess the knowledge and experience necessary to understand the big picture which is critical in evaluating smaller, localized markets. The zTandem business philosophy is simple: put clients interest first and make sure every detail is taken care of. To ensure the highest level of service, Helena and Alex personally work with every buyer and seller throughout the transaction never delegating tasks, no matter how big or small, to assistants or less experienced agents. Real estaty agency. Specialization: lake view, forest view. Rockledge, Abington, Hatboro, Jenkintown, Lower Moreland, Upper Moreland, Bensalem, Bristol, Ivyland, Lower Southampton, Langhorne, Newtown, Bucks county and Philadelphia areas. Providing a superior level of informed, professional real estate services to buyers and sellers in the greater Bergen County area, located only minutes from Manhattan. Berkshire Hathaway HomeServices New Jersey Properties is an independently owned and operated real estate company and affiliate member of the Berkshire Hathaway HomeServices network. Serving northern and central New Jersey with more than 600 sales associates in 19 offices, the full-service residential and commercial brokerage perennially ranks among the nations Top 100 brokerages for sales volume. Realtyline, a progressive and rapidly growing company, is prepared for all cycles of the Real Estate market. We are committed to provide and support well educated and enthusiastic agents, prepared to serve clients with integrity and professional experience, along with the highest degree of excellence. We have a management style designed for success. Real Estate in Northern New Jersey! My satisfied clients are my best resource for new business. In this very competitive business of real estate, service makes the difference. My service is second to none and has earned me a valuable source of referrals. If you are considering a real estate professional, please give me an opportunity to earn your business too. I am confident you will be very happy! If you are thinking about buying, selling, renting or expanding your property or business, I would like to offer my help and real estate expertise. My goal is to provide you with the highest quality of Real Estate services. My experience includes knowledge of local real estate market, covering such areas as new construction, resale, rental, overall market status (buy and sell demand), market analysis, zoning, demographics and financing for both residential and commercial Real Estate in Morris, Union, and Essex counties of New Jersey. I hope you will find a lot of useful information by searching my website. I am ready to help you. Buy, sell, rent real estate in North New Jersey. Here you will find a wide variety of useful information and resources designed to help you buy or sell a home more effectively in the Franklin Lakes area. From information on the local community, to advice about finding a mortgage or preparing your home to sell. Real Estate agency - Trump Village. Buy, Sell, Invest in Real Estate. Real Estate Agency in Brooklyn. Real Estate Agency - your number one choice for Star Realtors and MLS Realty. Buy, sell, rent real estate. Brooklyn Finest Properties is the perfect start in looking for a home. A home is not just a familiar setting or place of residence. After all they don’t say “home sweet home” for no reason. We cannot emphasize how important it is to be able to feel comfortable and welcoming at your very own home. This is why you have come to the perfect place in searching for the right and secure home. Me and my colleagues provide services that make buying, selling, financing, insuring, maintaining and simply owning a home an easier and more satisfying experience! We are a Team at V.I. Properties who pride ourselves on bringing comfort and confidence to both our sellers and buyers. Our trained professionals stand by your side and work with you through the entire process. From the time that we first meet our clients and customers, to sitting together at the closing table, we guide you through each step. If your interest is in selling your home, we will encourage and help you prepare for the sale by offering you our experience and knowledge on what is the best way to prepare your home for sale, what you can expect and what current market values are. In addition to being trained in staging your home for sale, for those who desire, we offer a certified Feng Shui consultant. It is believed that by applying Feng Shui methods, you can create a positive flow of energy and balance in a home. Buy, sell, rent real estate with our professional agent today! 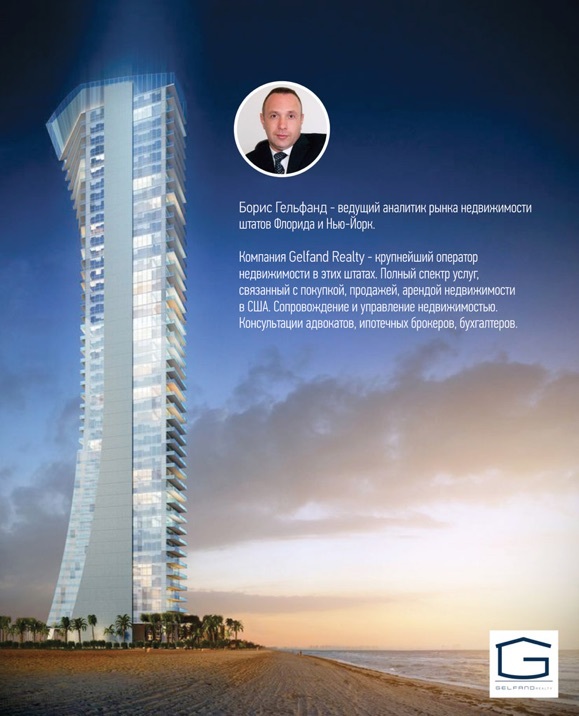 Boris Gelfand Broker Premier Agent. Licensed Real Estate Broker in New York and in Florida states. Buy, sell, rent condos, houses, businesses. Real Estate in New York. Rentals. Condos. Coops. Home for Sale. Real estate agency: we buy and sell houses, condos, apartments. Casandra Properties has served as a broker and consultant for BFC Partners on a large scale mixed use development in Staten Island. The firm has proven to be prepared, informed and diligent in their efforts. They have met and exceeded our expectations and highly recommend them for any and all real estate needs. Real estate agency. Over 50 years experience! Real Estate Agency in New York. We buy and sell and ready to help you to find your new home! Coldwell Banker Laquila Realty is a business providing services in the field of Real Estate: Commercial and Investment. At KORR Realty, we excel in giving our clients the attention and care they deserve. Selling a house is a big deal, and we take the responsibility of selling your house very seriously. Our agents have an unmatched local knowledge of the real estate market in the Brighton Beach, Sheepshead Bay, Bensonhearst and Bergen Beach areas of Brooklyn and can help you get the best price for your home. Give us a call today! HERMAN and CO is a boutique real estate brokerage firm founded in 2004. We represent buyers and sellers of residential and commercial properties in Staten Island, New York. We are an independent company, not part of a franchise or conglomerate. We focus on personal service with clients and close cooperation with their attorneys, architects, and contractors. HERMAN and CO has assembled a superb staff of full time real estate professionals capable of servicing and completing transactions with in-depth knowledge of current market conditions in our area. We also offer property management services. Apartments for rent in Brooklyn. Welcome to a real estate experience that is designed to suit your every whim. Here at Madison Estates, you will find the largest collection of fine homes and properties offered for sale in New York. We at Madison Estates share your quest for the American Dream. Let us help. We’re here to work for you. All aspects of Residential And Commercial Real Estate services. We specialize in residential resale, new construction, rentals, land, and commercial leasing. Real estate agency services. Buy, sell, rent, invest in properties today! Nord-East Realty Group offers services to sellers, developers, asset managers, lending institutions, private equities, industry partners and individuals. Complete real estate services. Professional and reliable. Real estate agency: buy, sell, rent! We specialize in buying and selling homes throughout Staten Island, NY! If you are a buyer or seller who lives near Staten Island, NY, or if you are looking to relocate to our area, we are happy to assist you! Real estate is one of the largest and most exciting investments one can make. We are here to make sure that your process is a fun and rewarding one! Our website is geared toward our local areas of Staten Island, Brooklyn and the Tri-State Area. We are specialists in our community and we would be happy to help you with all of your real estate needs! We buy and sell: farms, lands, cottages and businesses. We are specializing in buying/selling seaside properties with unique architecture. Talk of The Town Realty Corp. Has over 40 years of experience helping people with the purchase, sale and financing of residential and commercial properties. We are members of the Brooklyn Multiple Listing Service and are one of the highest volume brokers in Brooklyn. In addition we offer the services of Talk Town Funding Ltd., a registered mortgage broker providing funding through third party lenders. Our staff of seasoned professionals is available to handle all your real estate needs. Give us a call today and find out just what has made us. With two convenient locations plus late evening and weekend hours, Talk of The Town Realty Corp. Is the one place to stop for all your real estate needs. Whether buying or selling, leasing or renting, there is a real estate professional ready to assist you! Brooklyn Real Estate - for sale, rent, lease:Brooklyn houses, condo, apartments, apartment buildings, homes, houses, co-ops, condos, land, houses, apartments, business, commercial property and brownstone in Brooklyn, NY - Sheepshead Bay, Midwood, Coney Island, Brighton Beach, Manhattan Beach, Gravesend, Bensonhurst, Bay Ridge, Sea Gate, Bath Beach, Fort Hamilton, Ocean Parkway, Kensington, Garritsen Beach, Marine Park, Bergen Beach, Mill Basin. Luxury real estate. Established in 1911, Douglas Elliman has grown to become the largest regional and the nation’s fourth largest real estate company, with a current network of more than 4,000 agents in over 70 offices throughout Manhattan, Brooklyn, Queens, Long Island (including the Hamptons and North Fork), Westchester and Putnam Counties, as well as South Florida and California. In addition, via a strategic partnership with Knight Frank Residential, Douglas Elliman’s powerful network extends to 43 countries across six continents. Buy, sell, rent, invest in real estate! Alpine Realty Group representative. Buy, sell, rent houses,condos,offices,storage, land. New York Real Estate Agency. 35 years of experience! Fillmore Real Estate has been Brooklyn Real Estate leader for the past forty years. We have services to help you find homes for sale in Brooklyn. We will help you Search for prime Brooklyn Real Estate, and recently sold Brooklyn Properties. We are the leaders when it comes to homes for sale in Brooklyn. Fillmore.Com in New York provides Brooklyn Real Estate information and resources to homeowners and buyers through the process of selling and buying a house,Condo or other New York investment property. When it comes to Brooklyn homes for sale or Brooklyn apartments for rent, no other real estate broker knows the market like Fillmore. We sell more homes in Brooklyn than any other broker in the marketplace. If you’re looking to market your home, find buyers for your home, and sell your home in the most efficient way possible. Real estate services. Professional and efficient. If you want to sell your house fast and profitable - we are ready to help you! Howard Hanna Real Estate Services – innovative, philanthropic and driven to serve those seeking the American dream of home ownership. We are a family-owned business leader with over fifty years of residential real estate expertise and we work tirelessly to develop programs that bring together home buyers and sellers. Real Estate brokerage serving residential and commercial Real property owners and buyers in Greater Cleveland. Cleveland Real Estate agents with strong international connections. Let me turn your real estate dream into reality. Full spectrum of real estate services, including investments. Premier Loan Center is committed to helping you find the right mortgage product for your needs. We understand that every borrower is different, and we offer a variety of products to meet your individual requirements. The Best Effort Of The World Champion To You! Real Estate agent in Georgia. Broker, Realty 1st. Real estate services. If you are ready to buy a house in Atlanta, Simon is your man! Looking to sell a house in Atlanta? Simon is still your man! If you need an agent that is dependable and knows the in’s and out’s of the Atlanta real estate market, reach out to Simon Istakhorov and let him guide you through the real estate process and into your new home. Irina Levtov has 20 years real estate experience in the Atlanta Metro area, working in Midtown, Buckhead, Downtown and Alpharetta. AHC specialties are not limited to just finding and selling a home like most Brokerages, we are also part of the closing, renovations, if necessary, renting and managing the properties for investment. Each division offers specialized services that can make your dream come true from traditional sales, foreclosures and short sales, to rental and Property Management. We are a family owned Brokerage that makes customer service our very first priority. We ARE “Atlanta Home Connections”. We are an established independent real estate agency, offering personalized service to our community for over eleven years. We specialize in property sales and rentals in Eastern Massachusetts and sales of land in Florida. We also have considerable experience in commercial property transactions, as well as purchases and sales of small businesses. A next-generation real estate company with an acute focus on exceptional customer service and targeted, high-end marketing. We continue to set the bar in the Boston real estate market for Internet exposure, professionalism and performance. We excel in representing clients in the process of buying, selling and renting Boston luxury real estate. We also offer real estate insurance. Real Estate Agency. I will be glad to help you! Real estate agency: buy, sell, rent. 14 years of experience. Apartments and houses in Brookline, Newton, Needham, Brighton, Allston, West Roxbury, Watertown, Natick, Ashland, Malden. I am offering to my clients over 10 years of experience representing buyers and sellers and guiding them through all the complexities of real estate transaction. My thorough knowledge of current market provides advantage to my clients whether they are buying, selling, or renting property. Residential and Commercial Real Estate. Estate Planning. Business Law. General Civil matters. Coldwell Banker Residential Brokerage is the largest residential real estate brokerage company in New England. With approximately 4,000 sales associates and staff in 90 office locations, the organization serves consumers in MA, RI, NH, and ME. Coldwell Banker Residential Brokerage is the largest residential real estate brokerage company in New England. Real estate services in Metro Boston Area - the most popular areas of MetroWest – Ashland, Hopkinton, Framingham, Wayland, Sudbury, Newton, Needham, Brookline, Brighton, Belmont, Arlington. William Raveis Real Estate, Mortgage and Insurance is: The No. 1 family-owned real estate company in the Northeast and the No. 8th real estate company in the country, according to REAL Trends William Raveis Real Estate, Mortgage and Insurance divisions have been awarded the Gold Medal distinction by the Commercial Record and Banker and Tradesman for five consecutive years. In 2011, we were named the Most Innovative Brokerage by Inman News. Weve been consistently ranked the best place to work by Fox CT, Hearst Connecticut and the Boston Business Journal. Professional help in buying,selling,renting real estate. Real estate services:buy,sell,rent real estate in Swampscott, Marblehead, Lynn, Peabody. As a professional realtor i guarantee you an individual approach and lots of attention! Professional help in buying or selling your home. Fast and efficient service. Customer satisfaction is my priority! Real estate services.I represent Buyers and Sellers in the following in Ashland, Boston, Brookline, Brighton, Dedham, Easton, Framingham, Natick, Needham, Newton, Sharon, Stoughton . Real estate services. Professional help. Real Estate services in Brookline, Brighton, Newton, Needham, Natick, Boston areas. Buy, sell, rent real estate with me! Real estate agency. Buy, sell, rent with us! Buy, sell, rent a real estate. All Time Realty, Inc. Has been offering reliable quality service to Chicago and the suburbs. We specialize in selling, buying and renting all types of real estate properties. Whether you need to buy or sell a house, a town home or a condominium, or rent an apartment - we have what you need at prices you can afford. Our full time professional sales team knows how to guide you through the paperwork maze. We are always up to date on current practices and strategies of the real estate business. Our full time residential sales managers provide quality support to our agents pointing them directly to success. To the customer, this means the highest degree of quality in customer service and satisfaction. 95% of all of our clients surveyed said they were satisfied or highly satisfied with the service provided to them by All Time Realty, Inc.
Buy, sell, rent and invest in real estate with us today! Broker Real Estate Agent - Century 21 . Gold and Azen Realty is a full service Real Estate Brokerage offering assistance for buyers, sellers and renters. Our agents are experienced and knowledgeable in todays market, utilizing the latest technologies and modern tools. While we specialize in residential real estate such as single family homes, townhomes, condos, vacant land and multi unit apartment buildings, we can also assist with commercial transactions. Prospective Realty is a full service real estate company providing highly personalized and professional real estate services. Prospective Realty has been offering reliable, quality service to Chicago and the suburbs since 1998, and specializes in selling, buying and renting all types of real estate properties. Whether you need to buy or sell a house, a townhome or a condominium, or rent an apartment - we can help you find what you need at prices you can afford. Real Estate Agency. We will make your dreams come true! Alla brings diverse but complementary skills to help her clients transform their dreams into reality. Allas 20 years of marketing, negotiation, management, project coordination, and facilitation experience gives her a unique perspective on the challenges involved in the sale and purchase of real estate. Alla works tirelessly, joyfully and diligently, and fully commits herself to all projects. Her enthusiasm, dynamic influence and fantastic vision create strong and lasting friendships. The fastest way to make your dreams come true! BUYERS! We have a common goal: Making you a homeowner. Lets make it happen! Ensuring you exceptional service at every step of your home buying process. Search listings from the convenience of your home. Be the first to get new listings that match your criteria. Get real estate market watch updates for listings in your area. "For Buyers" - Your source for the latest tips, checklists and free reports. Personal Consultation - Vast experience and knowledge you can rely on. Financial advice - Loans, Mortgages, interest and tax benefits. Community information and Utilities. Find knowledgeable agents who know how to get the job done, get a good deal and are responsive to all your real estate needs. Providing you prompt service, personal guidance and professional competence from contract to settlement. SELLERS! Allow us to list your home for a quick sale. As real estate specialists, we know what it takes to sell your home. We bring expert knowledge, valuable experience blended with the latest technology, a well-defined marketing plan, a cohesive network, energy, enthusiasm and the excitement of a job well done. Detailed Home Evaluation Report and advice on the best price to list your home. Vast exposure to your listing. Virtual tours to distinguish your listing. "For Sellers" - Your source for the latest tips, checklists and free reports. Personal Consultation - Vast experience and knowledge you can rely on. Relocating - Everything you need to know about the neighborhood and transferring utilities. We want to help you buy or sell a home more effectively in the Northbrook, Buffalo Grove, Arlington Heights, Palatine, Wheeling, Glenview, Vernon Hills, Deerfield, Skokie, Chicago, Rolling Meadows, areas. From information on the local community, to advice about finding a mortgage or preparing your home to sell, its all available on my web site. Val Napadov is a licensed real estate agent and is a member of the Illinois Association of Realtors and the National Association of Realtors. Val proudly represents RE/MAX, the leading real estate company in Illinois. Broker, American Realty Group agent. You can trust us! Years of experience! We are professionals! Broker, Core Realty agent. Buy,sell,rent and invest in real estate with us! Financing for your home is critical. We can help answer important questions, the how and where to go for financing --questions important to buyer and seller alike.Need help finding insurance coverage for you new home? Or a moving company? Or the right mortgage company? We can help! Century 21 M.B. Real Estate has business relationships with companies who can service your needs. Primary Specialty is Residential. Secondary Specialty is Investments. Language(s): English, Russian, and Yiddish. We have a common goal: Making you a homeowner. Lets make it happen! Ensuring you exceptional service at every step of your home buying process. Search listings from the convenience of your home. Be the first to get new listings that match your criteria. Get real estate market watch updates for listings in your area. "For Buyers" - Your source for the latest tips, checklists and free reports. Personal Consultation - Vast experience and knowledge you can rely on. Financial advice - Loans, Mortgages, interest and tax benefits. Community information and Utilities. Coldwell Banker Residential Brokerage, a leading residential real estate brokerage company serving Chicagoland, Northwest Indiana, Southeast Wisconsin and Southwest Michigan, operates 51 offices with more than 3,250 sales associates.